EK Water Blocks, Ljubljana based premium liquid cooling gear manufacturer, is proud to introduce a a new Full Board water block kit for the latest GIGABYTE® GA-Z97X-SOC Force overclocking motherboard. 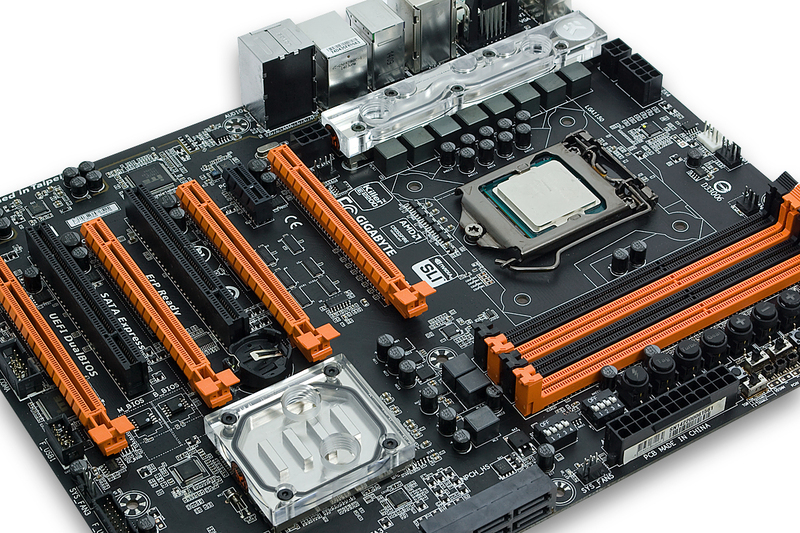 EK-FB KIT GA Z97X-SOC Force full-board water block kit is a complete liquid cooling solution for GIGABYTE® GA-Z97X-SOC Force motherboard. The water blocks directly cools Intel® Z97 Express southbridge (PCH) and power regulation (VRM / MOSFETs) module. 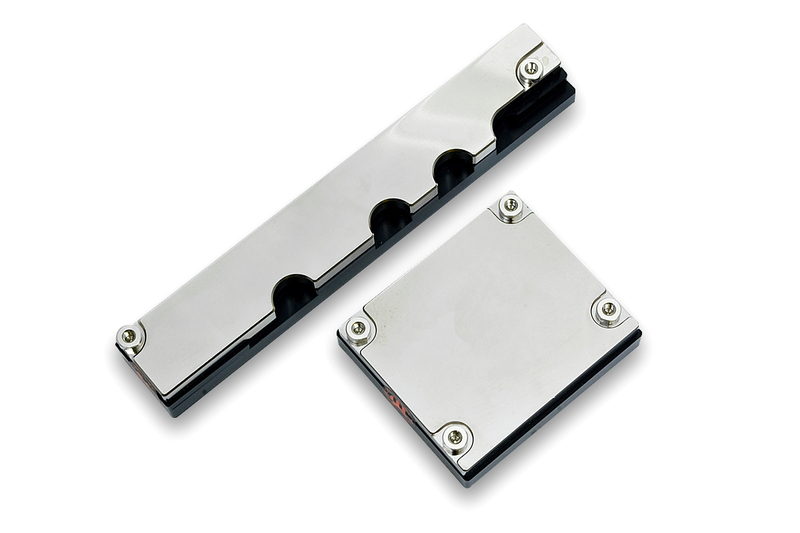 The two-piece set of water blocks feature high flow design that can be easily used with systems using weaker water pumps. 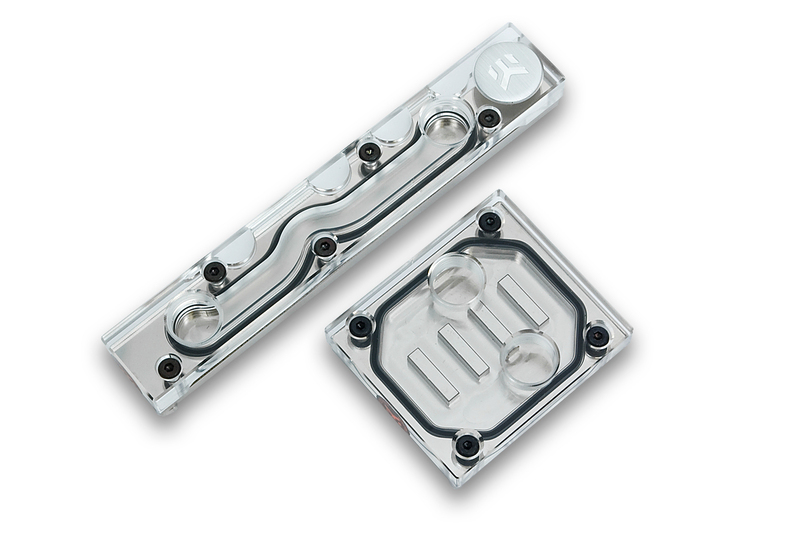 Base of the waterblock is made of nickel-plated electrolytic copper while the top is made of either quality Acrylic glass or POM Acetal (depending on the variant). Installation itself is as straight-forward as possible and the pre-installed screw-in standoffs allow for easy and failure-proof installation.